and symmetrical side panels where the increases are made. It is finished with an ornamental edging. 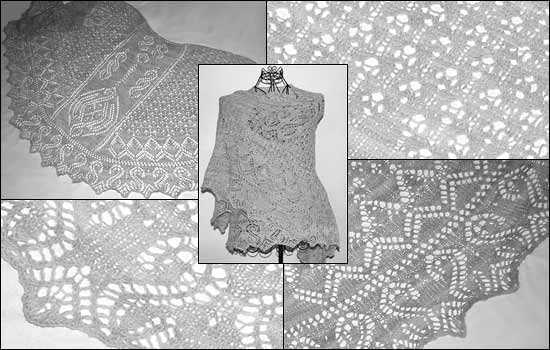 The shawl is adorned with seed beads – the placement of the beads is marked in the charts.